Alfredo Rodriguez Claims Victory as Sam Bassetti Dons Green Points Jersey on Final Stage. Elevate-KHS Pro Cycling secured their first victory of the UCI America Tour, this past weekend, on the final stage of the UCI 2.2 Joe Martin Stage Race as Alfredo Rodriguez stormed to victory in the technical Stage Four criterium. The stage victory was the breakthrough the team was looking for after finishing on the podium in the previous two stages with Alfredo Rodriguez finishing second in the Stage Two sprint and James Piccoli coming in 2nd on the Stage Three uphill time trial. 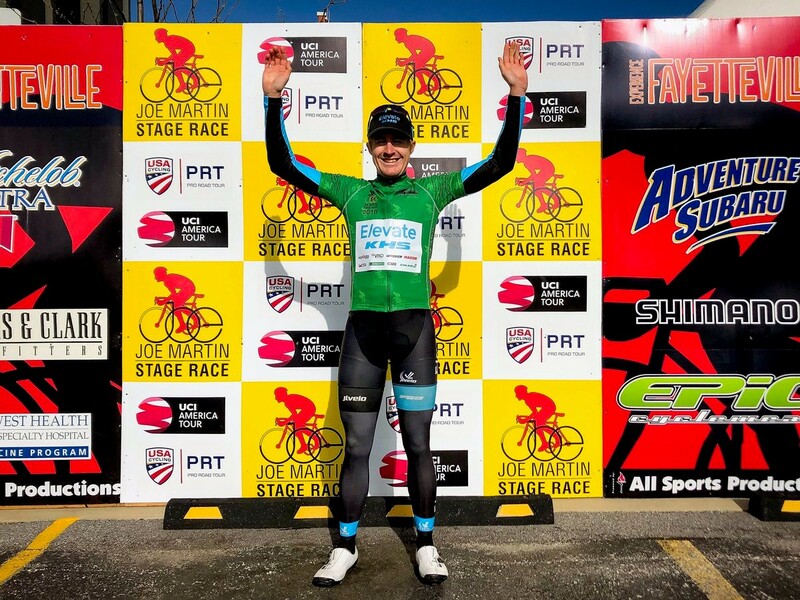 The Joe Martin Stage Race is not only first stop for the UCI America Tour in the United States, but also serves as the first USA Cycling Pro Road Tour event, ensuring each of the top American professional squads would line up alongside the team for the contest. Stage One, a 113 mile loop, started with a dangerous break with the team well represented by three riders. While most of the strong teams were represented in the breakaway, they would only last until the foot of the final climb. From there Eder Frayre got things going for the team by sprinting to 6th place in the tough finish. The following stage was another long road race with a lumpy 110 mile course and another 6,000 feet of climbing. As the weather turned south quickly, George Simpson represented the team in the break on the rainy stage; the advantage for the break grew to almost three minutes before being caught inside fifteen miles to go. In the final meters Sam Bassetti and Alfredo would time their sprint almost perfectly before coming up just short of the victory. Alfredo stepped onto the second step of the podium with teammate Sam just behind in fifth place on the stage going into the only time trial of the race on Stage three. 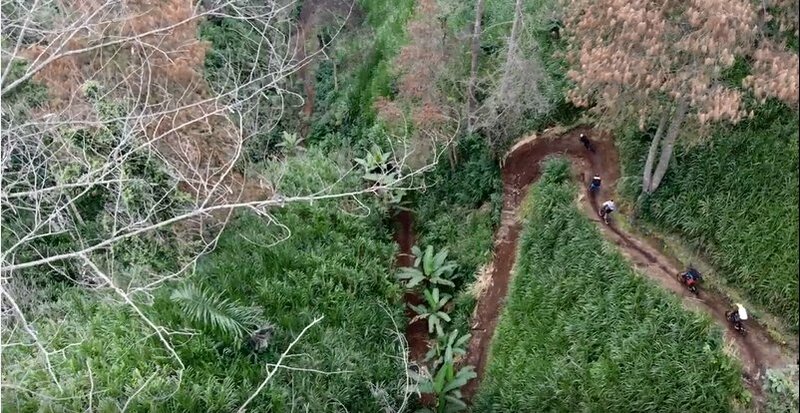 The Devils Den time trial stage is notorious for being both very short and very difficult with the riders climbing up 725 feet in only three miles. James Piccoli found the uphill test to be to his liking, riding his KHS Flite 900 to the second-best time on the day, just six seconds shy of taking the first victory of the race for the team. With one stage remaining, the team would have to make their mark on the final day of racing, the Fayetteville Criterium. On the final stage of the Joe Martin Stage Race the team had two goals, first move Sam Bassetti into the lead in the green Points Jersey standings (second after three stages), and secondly move Alfredo up to the top step. We staked the break ahead of points sprints looking for opportunities for Sam and he repaid the team for their support by taking enough points throughout the stage to ensure all he had to do was finish to take the jersey home with him. As the laps ticked down in the criterium, breaks continued to move up the road with Jordan Cheyne and Sam representing the team up the road. After coming up Short on Stage Two, the team left nothing to chance in the final test as Alfredo stormed to victory in the sprint finish in front of the great local crowd. The team didn’t have much time to celebrate their success as the had to quickly head off to Silver City, NM, where they are currently preparing for the Stage Three Tyrone Time Trial with James Piccoli sitting in 7th place overall. Congratulations to Nick Torraca on his big win over the weekend, winning the 2018 Texas Criterium Championship! Nick has had a breakthrough season with 3 wins and 8 podium appearances and just finished racing at the Sea Otter Classic. Click through the Elevate-KHS Cycling website to read more on his first State Championship Victory.